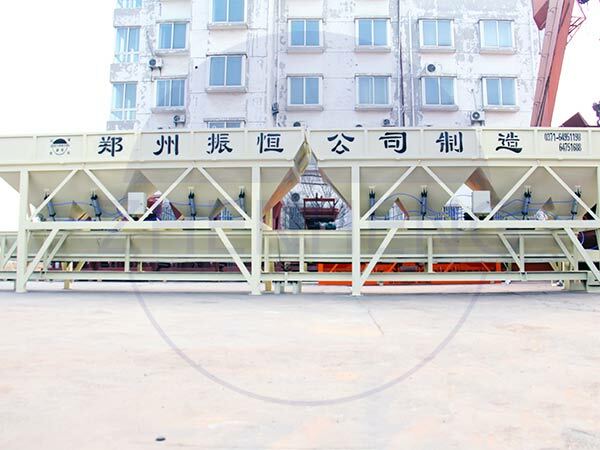 Zhenheng Batching Machine Introduction-Zhengzhou Zhenheng Construction Equipment Co., Ltd.
PLD series concrete batching machine is one automatic batching equipment, which is matched with concrete mixer together to use for concrete batching plant, or brick produce line. It can finish 2-4 kinds of material batching procedure as user demand. This series product is designed as GB10172 Concrete batching plant technical clause. It including electric scale, digital display, wired remote control system. Which have many advantages such as accurate weighting, high batching precision, high speed and strong control system etc. This series concrete batching machine matched relevant concrete mixer, formed different model concrete batching plant. However, its price is just 1/2-1/3 of concrete batching plant and removable mounted, which is ideal equipment for producing high quality concrete.